Ocean Pure is a recently refitted yacht that launched in 2017. 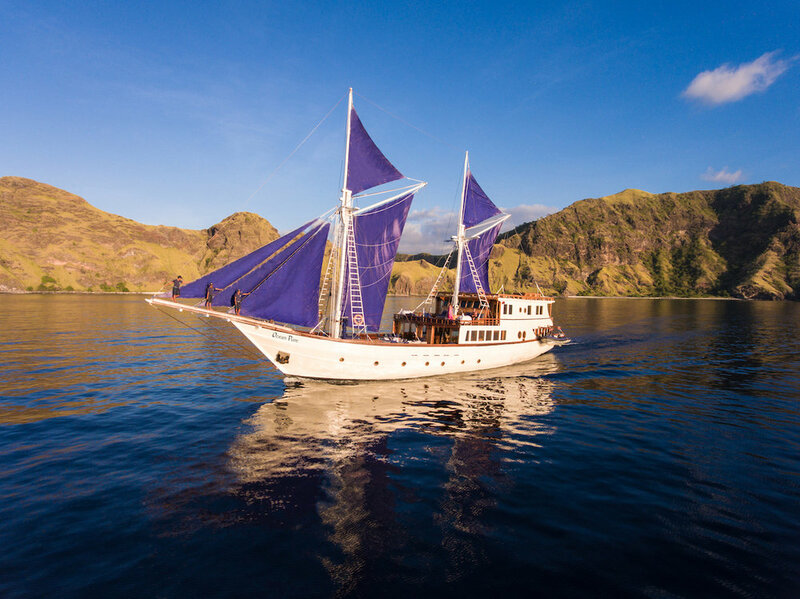 With sensitive attention to Indonesian heritage and modern technology, Ocean Pure captures the essence of phinisi craftsmanship and footloose style, blended with excellent levels of comfort. 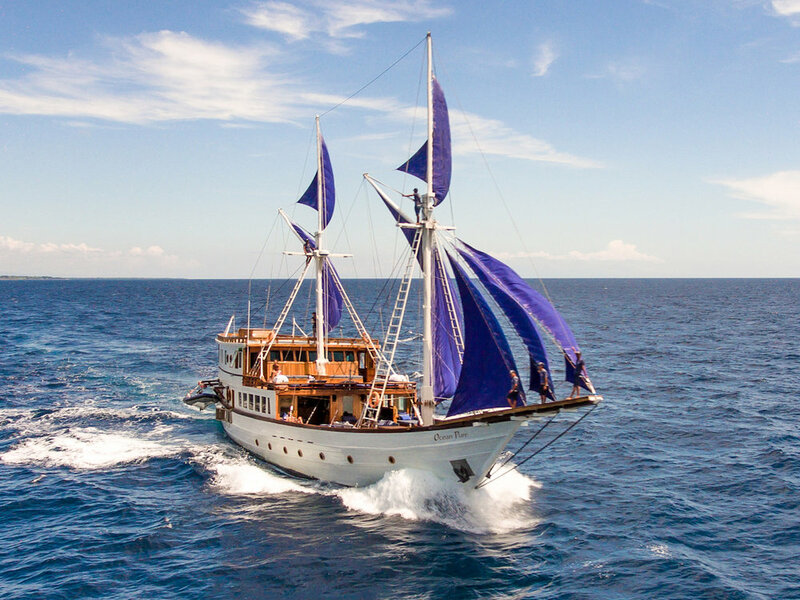 Owned by a designer and an hotelier, Ocean Pure is a wonderful option for an adventurous escape in Indonesian waters. 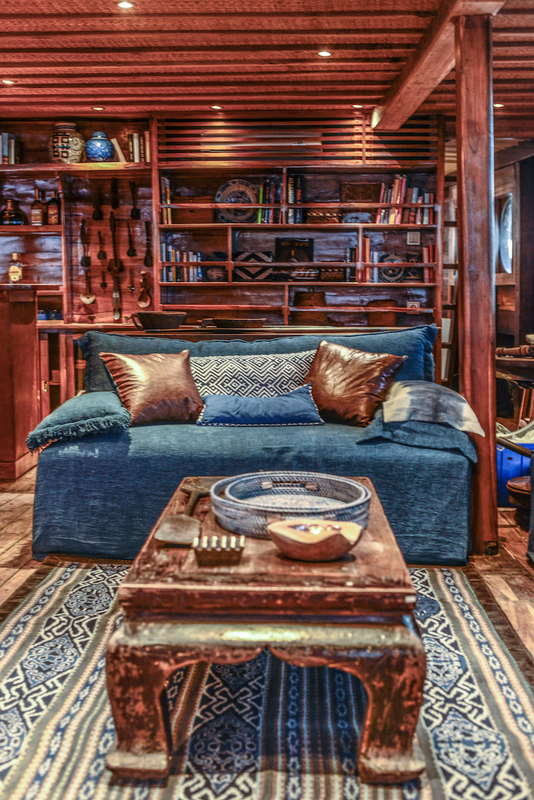 The yacht’s design blends teak, lacquered wood and indigo Shibori textiles with carvings and antiques handcrafted by Indonesian artisans – among them ancestral spears, tribal masks and calligraphy brushes - largely collected by the owners during their travels across the Indonesian archipelago. 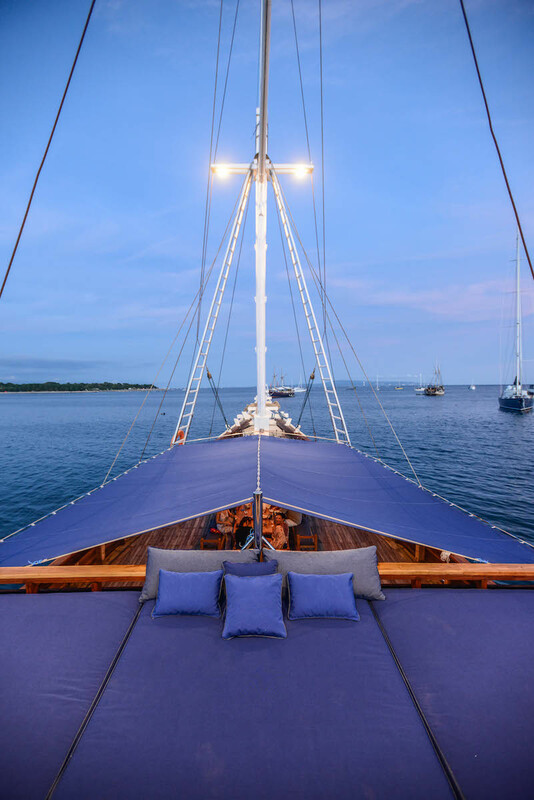 With a dedicated crew of 12 includes a cruise manager, a dive guide, a chef team and a massage therapist to cater to guests’ needs, Ocean Pure offers a luxurious island-hopping base for families or groups of friends seeking the journey of a lifetime. 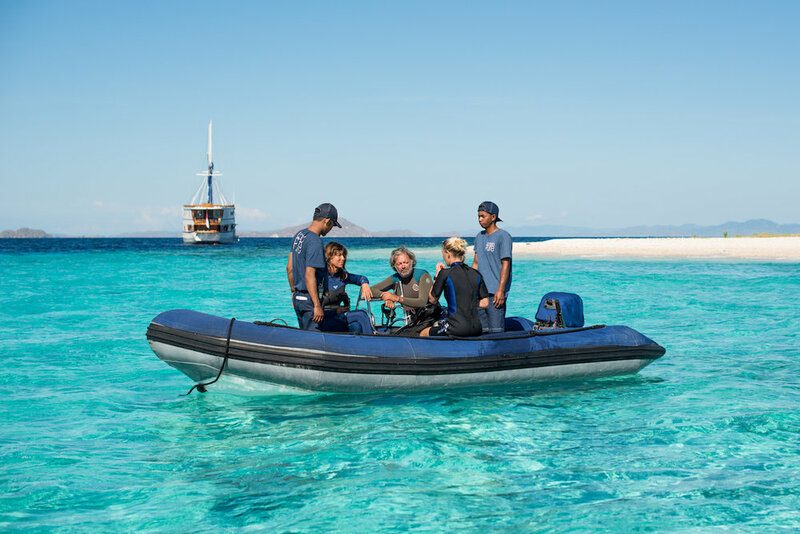 She is equipped with diving and snorkelling gear, kayaks and paddleboards. Ocean Pure comprises five ensuite cabins, all of which are fully air-conditioned. 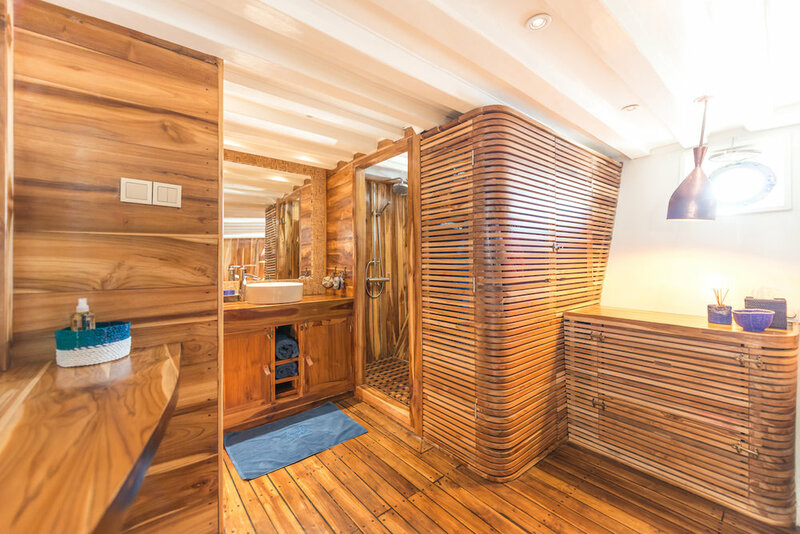 A spacious master cabin takes up 40 square-metres on the upper deck with a king-size bed, a writing desk, a dressing room and a bathroom with two walk-in showers. The master cabin has panoramic windows and sliding doors, not to mention a private terrace with daybeds, a massage table and 180-degree views. 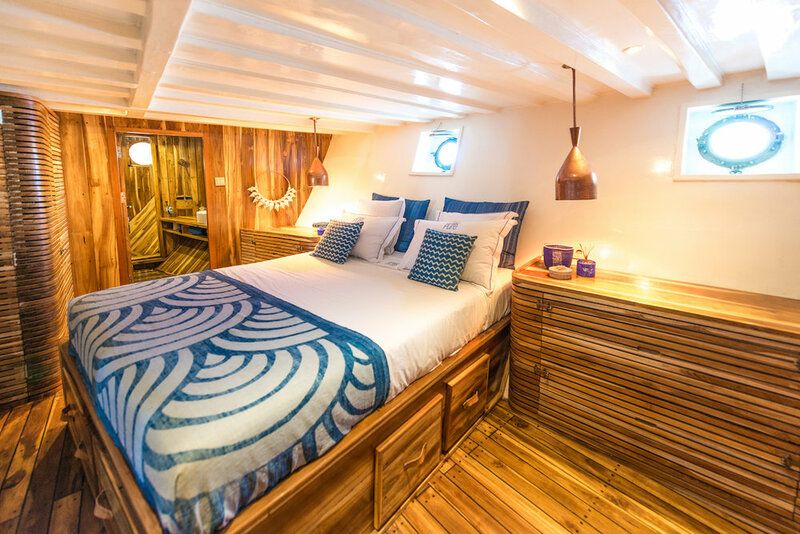 The remaining four cabins are located on the lower deck and consist of two double cabins at the front and two at the aft, all featuring queen-size beds, four portholes, dressing rooms and ensuite bathrooms. 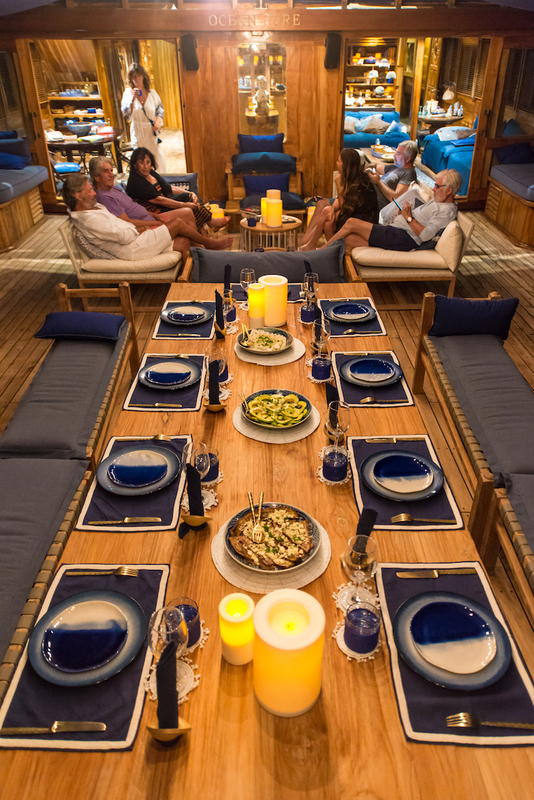 The main deck makes up the majority of the shared living areas, with an air-conditioned living and dining room, as well as a bar, set with panoramic windows that open out onto the alfresco dining area. This combined space makes up to 180 sqaure-metres of indoor and outdoor areas for relaxing and dining in style and includes comfortable sofas, a library, a wine cellar, a cigar room and a TV. 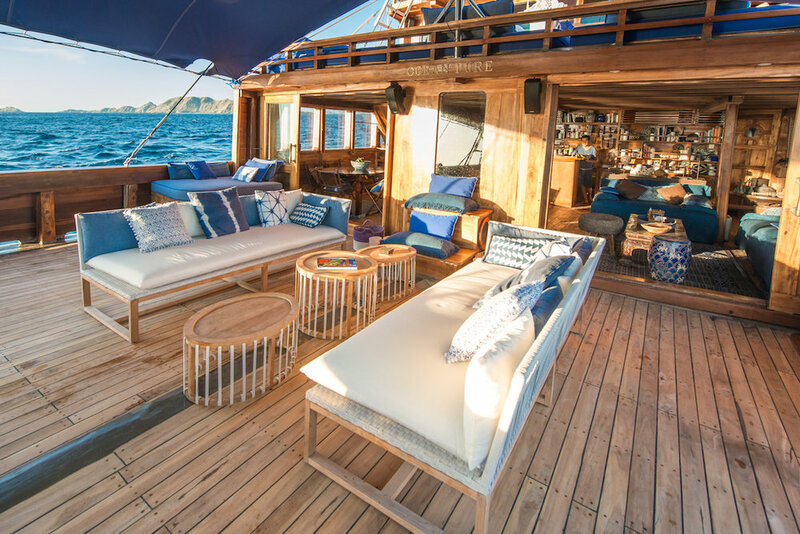 Outside, guests will find ample space for reclining in the sunshine, and the upper deck also features an oversized sunbed and two long benches with a coffee table. 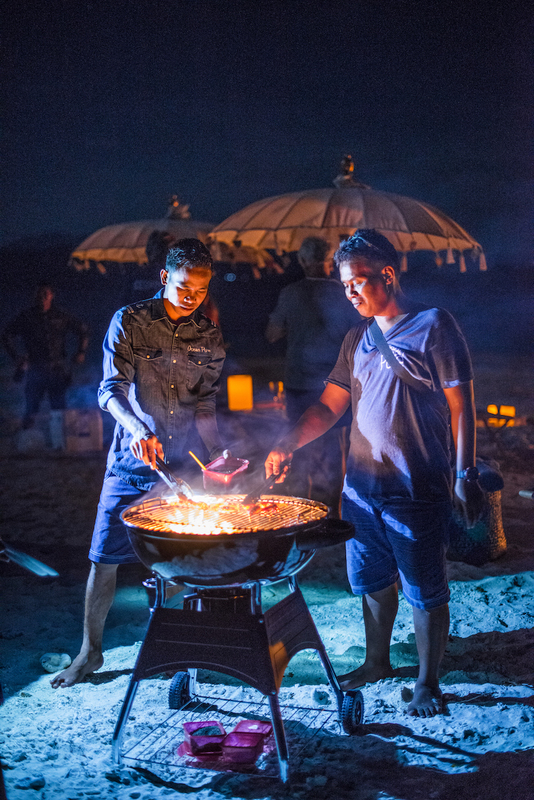 Ocean Pure’s talented chef crafts both local Asian and western cuisine to suit every taste. 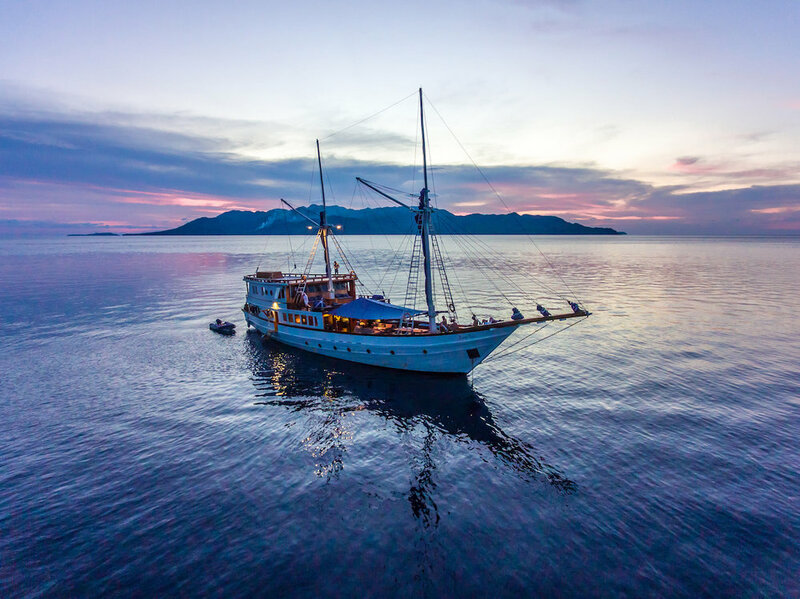 Whether it’s submerging amid schools of tropical fish on spectacular reefs, claiming deserted islands as your own for the day or seeking out endemic wildlife that takes your fancy, Ocean Pure is a wonderful option for a sailing sojourn in Indonesia. Ocean Pure was refitted in 2017 and spans 40m with an 8.5m beam and a 3m draft. 5 cabins accommodate up to 10 guests. She cruises at a maximum speed of 10 knots.